Mens down jacket K-Performance Summit Down Jkt by Karpos: ideal for climbing the toughest conditions on any mountain in the world. Our lightest-weight and warmest 850 fill-power down jacket, for use in the toughest conditions on any mountain in the world. Every detail of this jacket has been developed with and tested by our most technical mountaineers, including in extremely low temperatures. This is the thermal jacket for extreme cold. The Summit Down Jacket is our most technical and highest-performance down jacket, designed so you can keep with you always, even in your backpack, given its minimal weight and bulk. 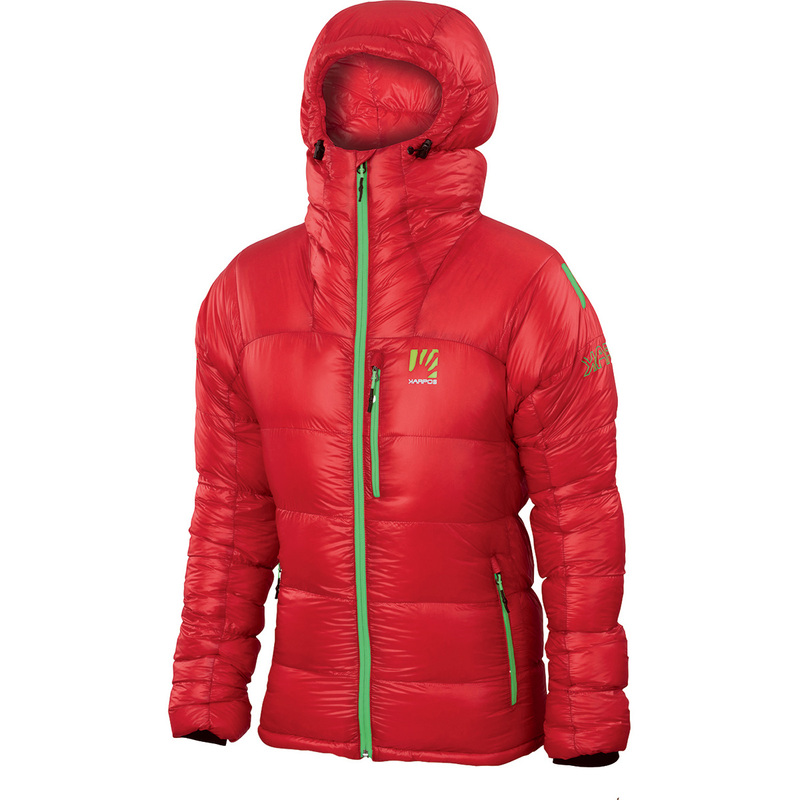 Made of 25 g/m2 10-denier mini-ripstop Pertex® Quantum fabric. DWR treatment both inside and outside. 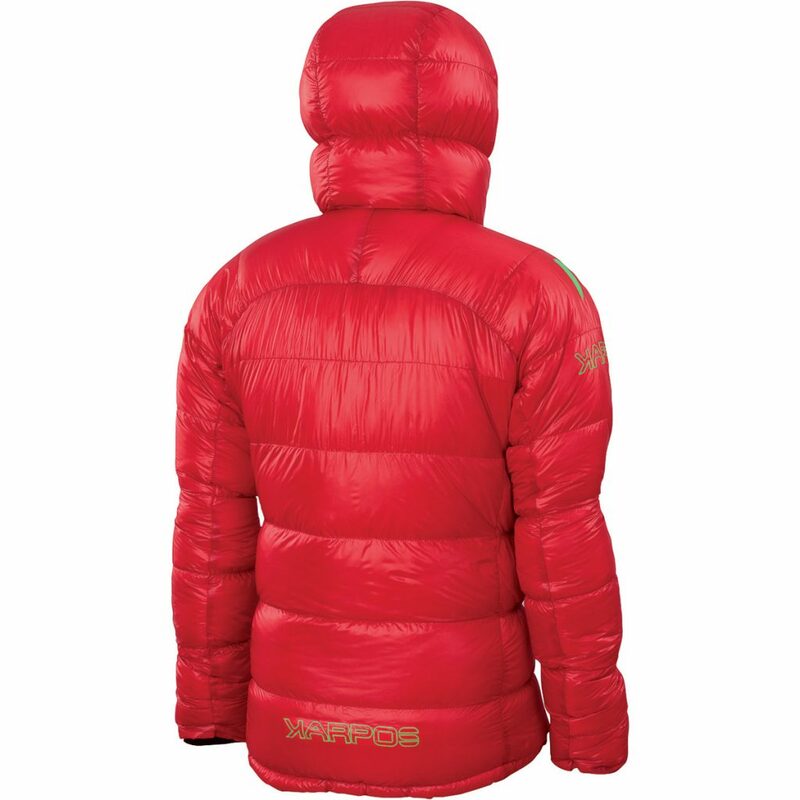 Wind resistant to hold in heat, and designed specifically for use with down. Extra soft for increased comfort, and compactible to stow in a backpack. White goose down (90/10) is of European origin with DWR treatment and is fluorine free and has a fill power of 850. Size L uses 260 grams of down. Chamber construction with unconnected internal and external seams to prevent heat dispersion. Helmet-compatible hood with adjustable draw cord at front. Upper part of jacket in soft, brushed fabric to protect chin and face. Front zip with double slider and wind flap behind. Draw cord at bottom of jacket. Inner cuffs in thermal fabric. Stretch trim on sleeve ends.